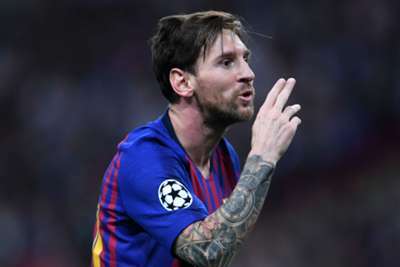 Lionel Messi leaves his Barcelona team-mates in no doubt as to when he is angry despite his introverted nature, according to Eric Abidal. The forward faced criticism from fellow Argentina legend and former national team coach Diego Maradona, who suggested Messi's quietness made him an ineffective captain. But Barca's director of football Abidal insists Messi leads by example and the club captain readily makes his feelings known. "He's an example as a captain. Not just talent-wise, also as a person," Abidal told the club's official website. "He doesn't talk much, but he shows us everything on the field. He's a key player for us and for the dressing room. "We always say that Leo doesn't need to talk. Everyone knows when he's angry and everyone knows when he's happy. "His role in the team is important for the young players and the new signings. "Leo's story is a beautiful one, but he's shown that here at Barca, with hard work, lots of things are possible. "He's a great player and thanks to him the level of the other players increases." Messi, who has not appeared for Argentina since the last-16 loss to eventual champions France at the World Cup in Russia, has six goals in eight LaLiga matches this season.